The Y.A. 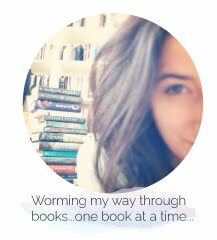 Bookworm Blogger: ...Ta-da! I was Interviewed!! Before I go get ready for another "wonderful" school day (sigh), I thought I would just quickly let you all know that a few weeks ago I answered some book blogger/ booktuber questions from Samantha at Cold Tea and Crumbs. 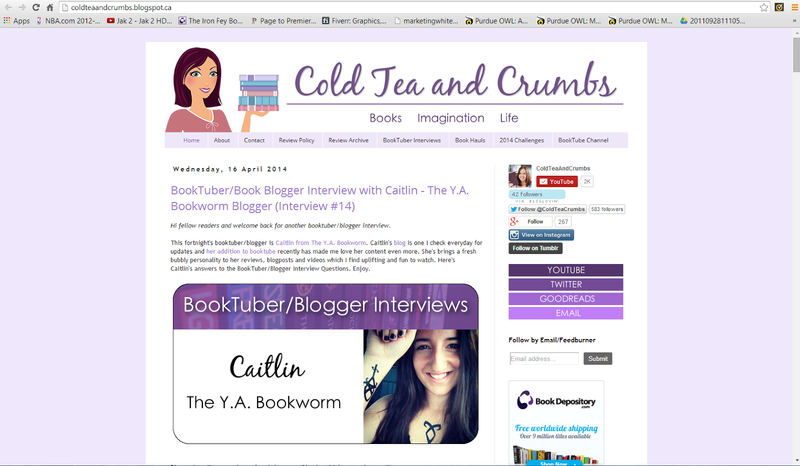 The interview went live today and I have to say, the formatting just looks so cute! It was impossible not to share! PS. Her blog in general is so adorable! If you're interested in learning a little bit more about me, be sure to check it out HERE! Hopefully a review will be going up sometime this week! I know I've been slacking here on my blog and I am making it a goal of mine to get things back to their normal bookish awesomeness! Keep Reading! Congrats! We all here knew you could do it! You are one of those worth high paying jobs out of high school and will make an awesome journalist!